This superb, buttery & rich blue cheese tastes like no other blue cheese. Selected by Rolf Beeler, produced by legendary cheese maker Willi Schmid. 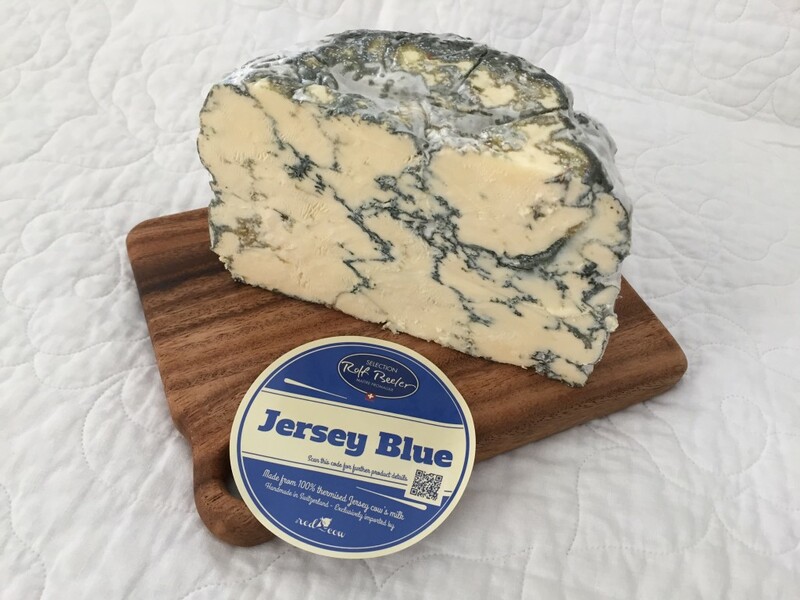 The Jersey Blue is Willi Schmid’s most decorated product: On two consecutive occasions, in 2010 and 2012, it won the “Best of Show” at the “World’s Jersey Cheese Awards”. The Jersey Blue undoubtedly proves the immense talent of its creator. Willi uses two different Italian moulds. He doesn’t reveal which ones, we only know Gorgonzola mould is not part of it. Natural calf rennet is used. The Jersey Blue is specially appealing cut when you see the fine light blue to dark green veins that grow into the core from the outside. The buttery feel of the Jersey milk coats the palate and then the powerful flavours of the mould burst out. It has an unbelievable long finish, a masterpiece indeed. 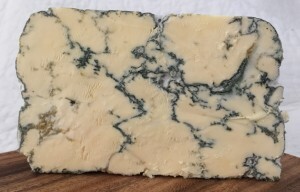 The Jersey Blue can be enjoyed young but ages well. When it starts to dry out the flavours get sharper. After producing the cheese the cheese maker slightly squeezes each of the wheels resulting in the beautiful blue vein structure you can see here.